The Overlook Newsletter is produced three times a year and highlights our programs, events, and happenings at The Woods! Click below to read the most recent copy of The Overlook! Find out what projects are underway on our preserve when you read the land manager’s article on page 2. If you’re heading out here for a walk, study up on those animal track patterns on page 3 so you can identify which creatures are out and about. Oh, and don’t miss our big news unveiled in the cover story of The Overlook! If one of your New years resolutions is to be active – we can help! 2018 was a busy year of planning and as we launch into 2019, we’re ready for ACTION! From January through April, our staff will be teaching visitors how to identify trees in winter, search for owls at night, make maple syrup, tie some notable knots, and snowshoe like a pro! In April, The Woods will celebrate Earth Day with an afternoon full of guided nature walks and live animal shows. When you’re not outside enjoying the season, consider joining the Community Read of John Week’s book, “Nature’s Quiet Conversations”. 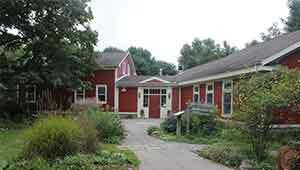 You can pick up a copy at the Marcellus Library. There’s something for everyone at The Woods…from preschool to homeschool to day camp to programs especially for adults! Take a minute to browse The Overlook and clip the calendar to remind yourself to register early for your favorites! 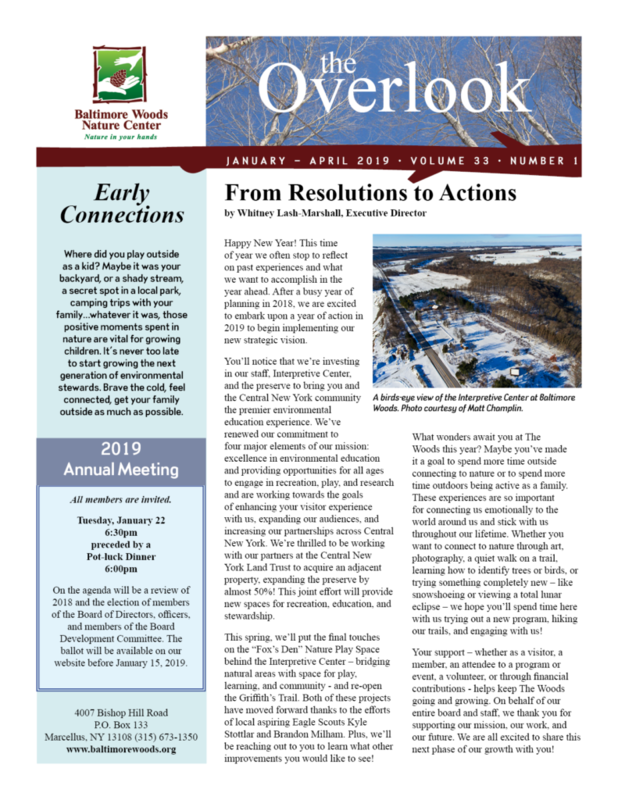 Click to read the January – April 2019 issue of The Overlook newsletter!